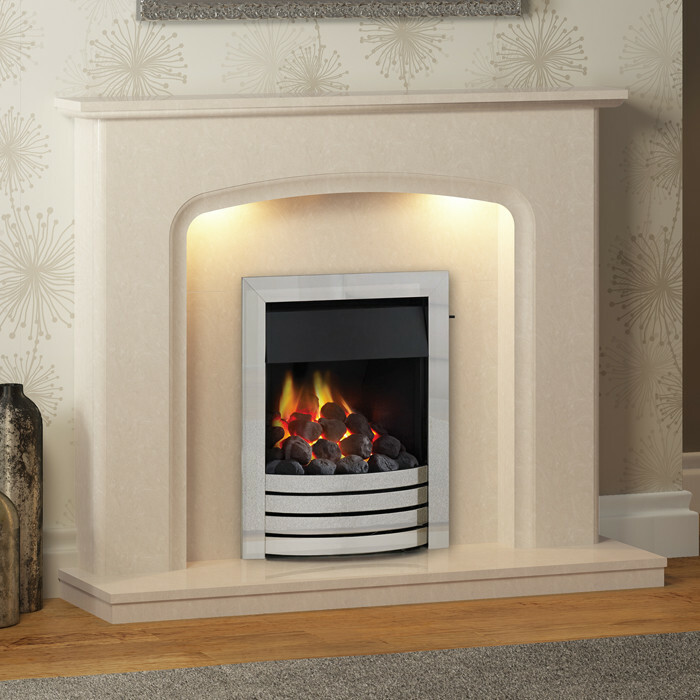 The Elgin & Hall Siena Marble Fireplace Suite consists of the Siena 48" or 52" Wide Marble surround, Marble back panel, Marble hearth and optional Cobalt Deepline Convector 3.8kW gas fire. 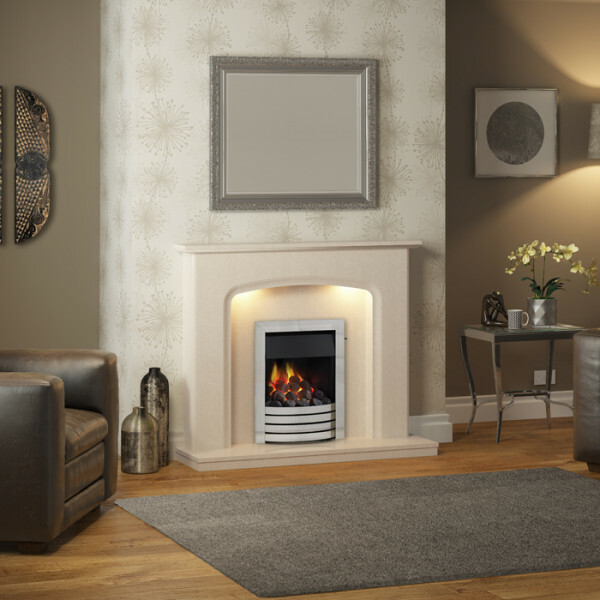 The Siena stone surround has a minimalistic style with a shallow arch is available in White, Pearl Stone or Manila marble. 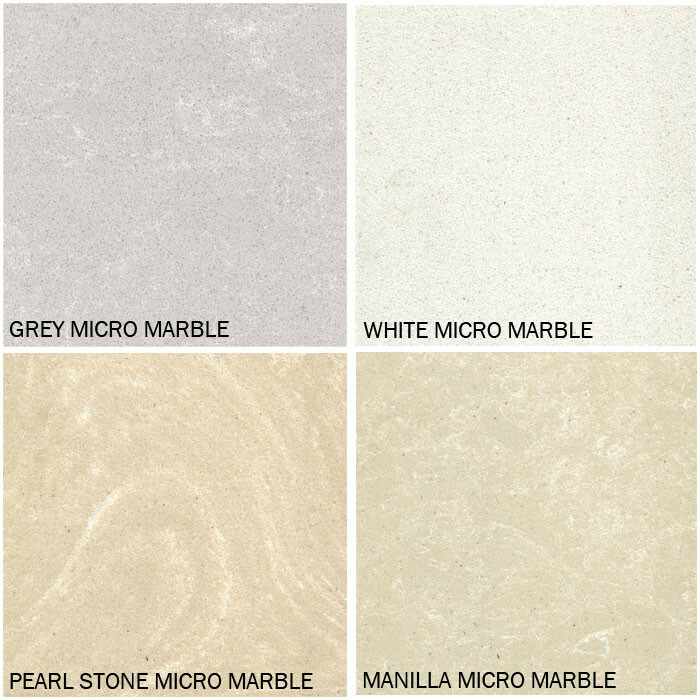 Micro marble is an engineered stone, manufactured from crushed marble and specially developed resins. 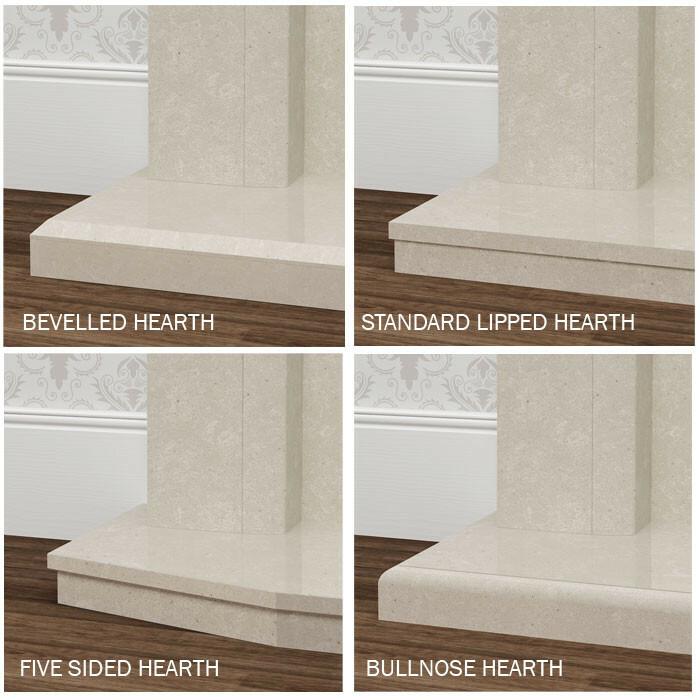 Micro marble is a fine grained man made marble which gives a smooth polished surface and a consistent colour so easy to wipe clean. The Cobalt Deepline Convector gas fire with Devotion trim gives a heat output of 3.8kW and efficiency of 62%, it is available in either a brass, brushed steel, chrome or nickel finish.